Singapore Basketball Centre, Monday, April 30, 2018 — Nanyang Junior College (NYJC) emerged with a hard-fought 67–52 victory over Temasek Junior College (TJC) in the second round opener of the National A Division Basketball Championship. 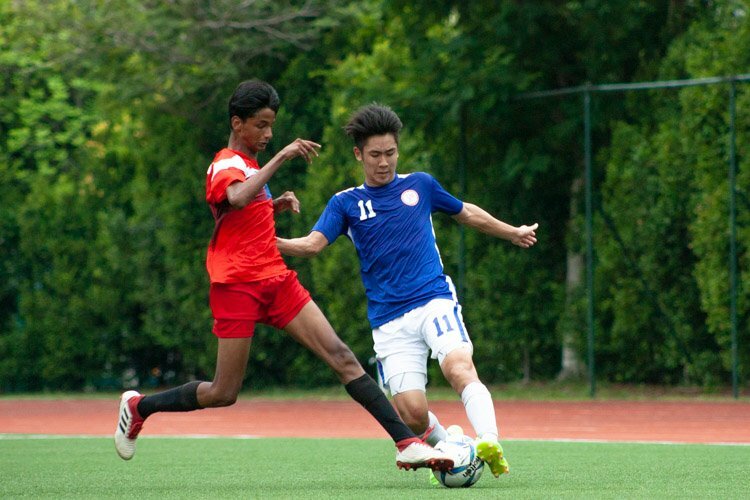 With this win, NYJC improved to a 1–0 win-loss record in Group P while TJC fell to a 0–1 record. 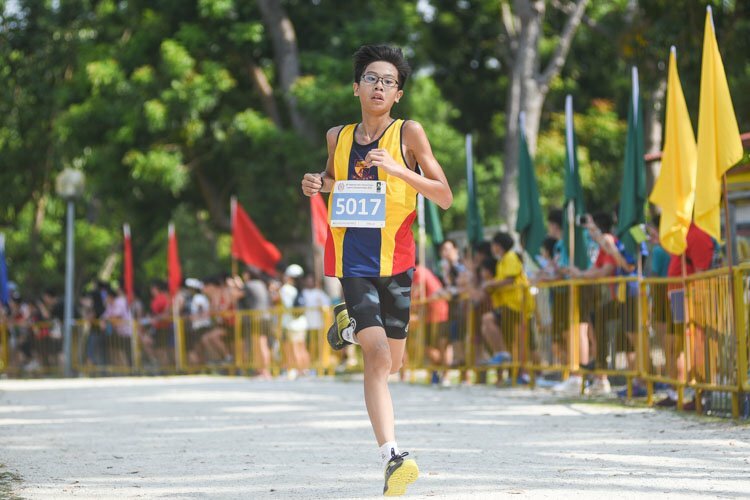 Wilbur Tan (NYJC #26) led NYJC with a game-high 22-point performance, while Leow Zhan Xian (NYJC #28) and Avinesh (NYJC #4) contributed 16 points and 10 points respectively. On the other hand, TJC was led by 22 points from (TJC #14), while (TJC #9) chipped in 13 points. Both teams started the game playing at an uptempo pace as they looked to score quick baskets before the opposing defence could settle down. 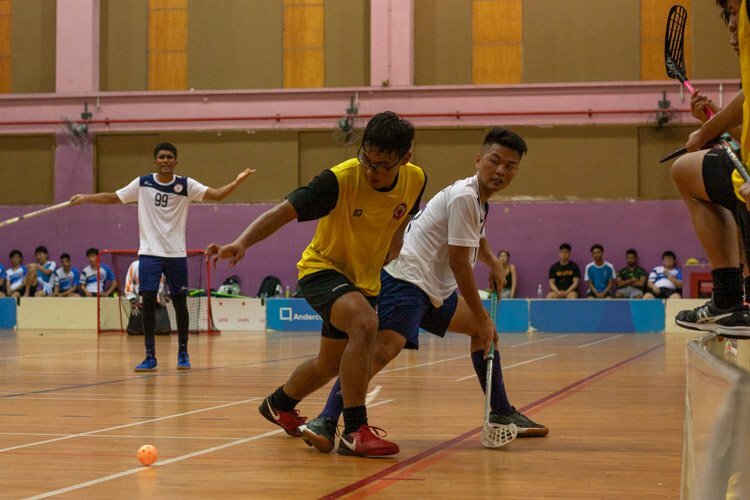 NYJC made use of their quick ball movement and pace to attack the paint while TJC mixed it up on offence, making use of their ball movement to create shots in the paint as well as shots around the perimeter. Both sides also played tough defence as they forced the opposing offence into taking tough shots and committing turnovers off bad passes. 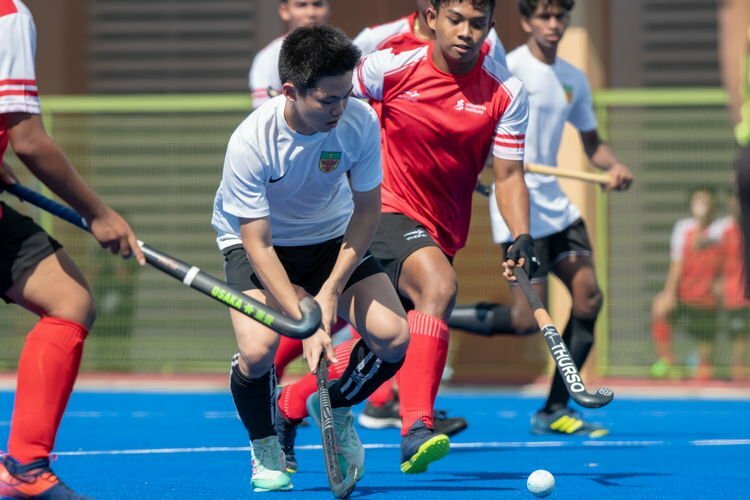 The first period turned out to be a tightly contested and low-scoring affair as NYJC held a slim 10–8 lead after Nicholas Quah (NYJC #27) converted a fast-break lay-up to close out the quarter. NYJC proceeded to turn it up a notch on the defensive end in the second quarter, swarming the TJC offence and cutting off passing angles. 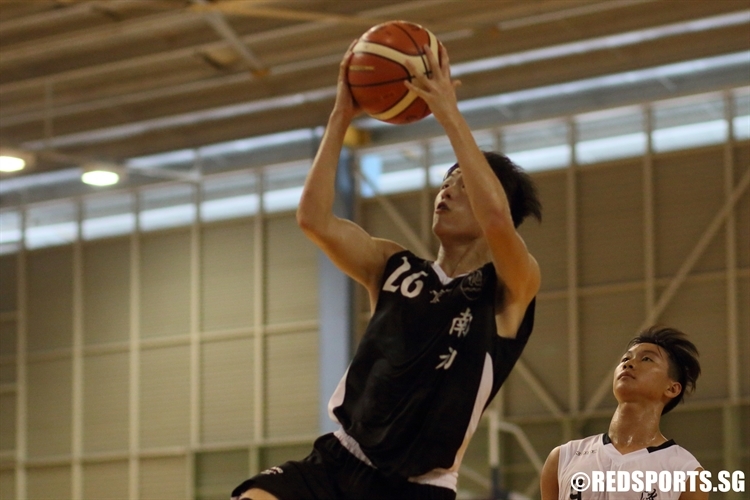 As a result, NYJC would go on a 17–7 run throughout the period as TJC struggled with turnovers. 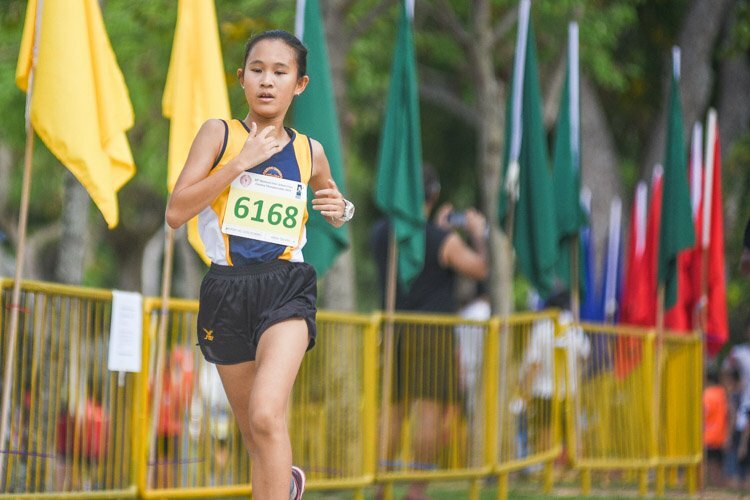 At half-time, NYJC held a comfortable 27–15 lead. 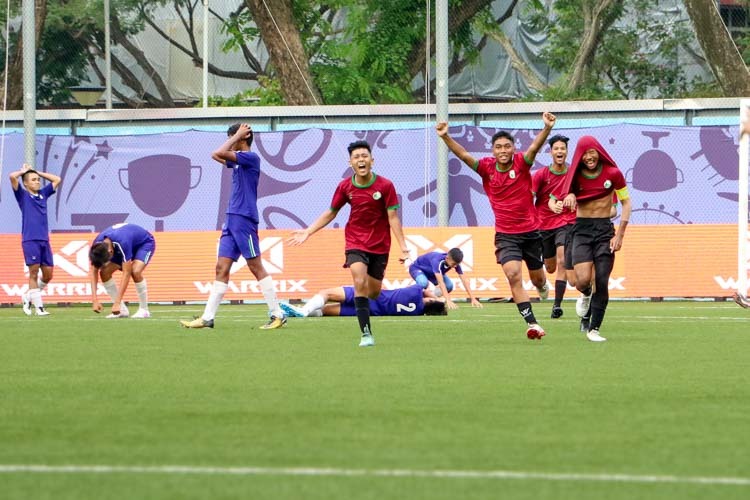 TJC stepped up on defence after the half-time break as they hustled hard to force NYJC into taking contested shots and also forced NYJC into turnovers that led to easy transition points. 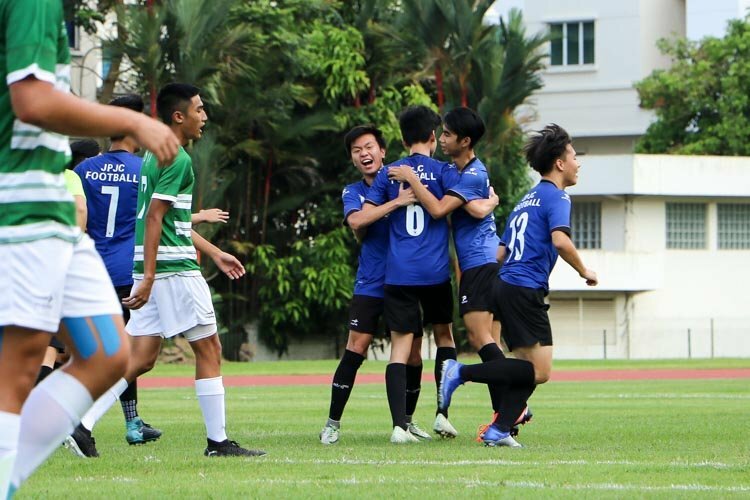 However, TJC continued to struggle with turnovers and this cost them several offensive possessions while conceding transition points to NYJC. 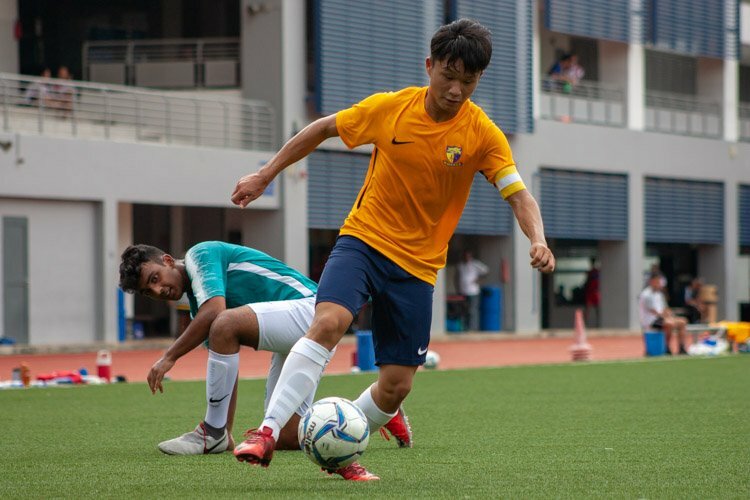 As a result, TJC found themselves outscored 15–21 in the quarter as NYJC extended their lead to 48–30 heading into the final period. Despite facing an 18-point deficit, TJC competed well in the final quarter as they continued to hustle hard on defence for defensive stops while making use of quick ball movement to create a barrage of shots for scoring opportunities. 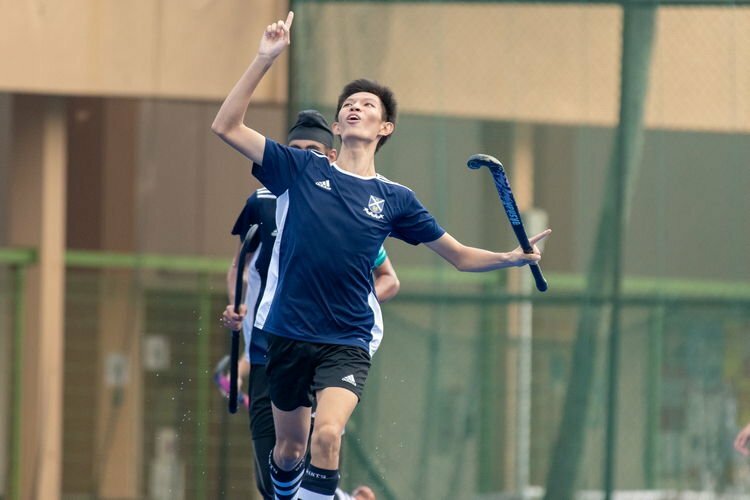 With 2:56 remaining, (TJC #14) made a driving lay-up through the teeth of the defence to cap an 11–2 scoring run by TJC and cut NYJC’s lead to 60–50. 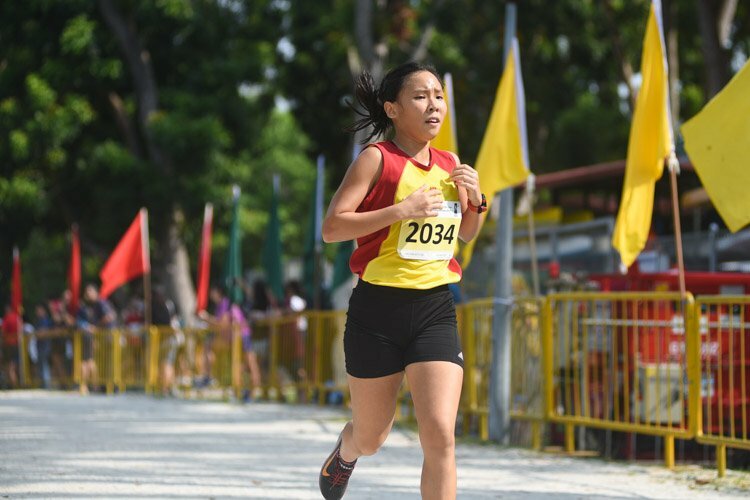 However, fatigue caught up with TJC’s players as they committed a slew of turnovers and found themselves outpaced by NYJC, who closed out the game with a 7–2 run to secure a 67–52 victory at the final buzzer. 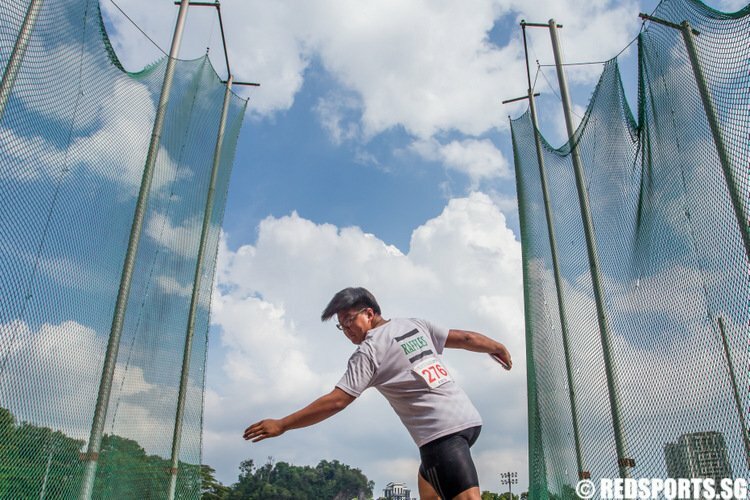 TJC will next face Hwa Chong Institution while NYJC will face off against Raffles Institution. Both matches will tip off at 3.15 pm on 2 May at the Singapore Basketball Centre. We asked for the team roster but were unable to obtain them. If you know any of the players, kindly leave a comment below. We will update the roster accordingly. Hi Alan thank you for pointing out the error. The picture has been re-uploaded and fixed accordingly.